"Environmental crime is a growing challenge for policy makers and law enforcers. This is an important and timely study which examines in depth how environmental crime is treated at national level within the European Union and the impact of the 2008 EU Directive on environmental crime on national systems. It will be required reading by anyone concerned with making environmental law more effective." 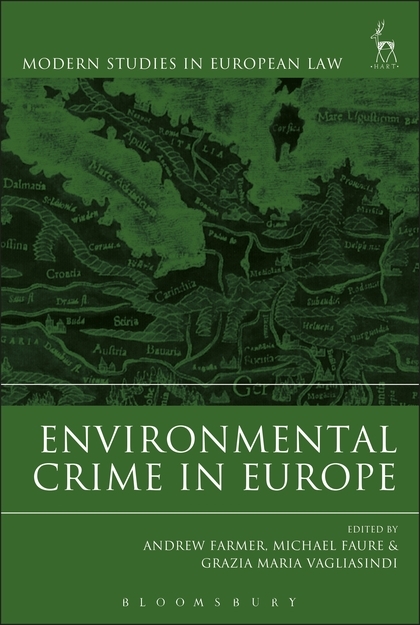 The aim of this important new collection is to explore how environmental crime is controlled and environmental criminal law is shaped and implemented within the European Union and its Member States. It examines the legal framework, looking in particular at Directive 2008/99/EC, and the specific competences of the EU in this domain. 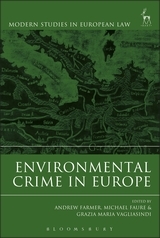 In addition, it provides a detailed analysis of environmental criminal law in seven Member States, focusing inter alia on the basic legislation, the way in which environmental pollution is criminalised and the main actors in place to enforce environmental criminal law. In so doing, it provides a much needed explanation of the evolution of environmental criminal law in Europe at Union level and how this is implemented in selected Member States. Andrew Farmer is Programme Manger at the Institute for European Environmental Policy. Michael Faure is Professor of Comparative Private Law and Economics at Erasmus University, Rotterdam. Grazia Maria Vagliasindi is Researcher in Criminal Law at the University of Catania.